"No one knows how many boats sink without the chance to help them." 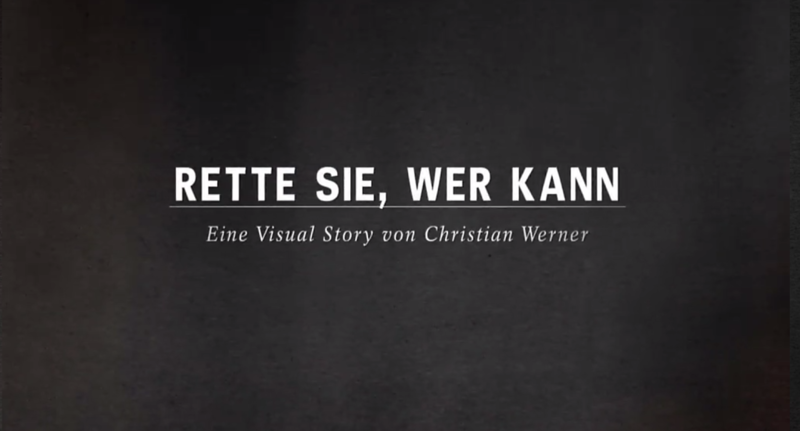 One of the sad facts from the impressively photographed multimedia report "Save it, who can", the photojournalist Christian Werner has produced for the "SPIEGEL". He accompanies a rescue vessel on the Mediterranean Sea in an attempt to rescue refugees in distress. In his videos and photos, which were also produced in 360 ° technology, the user can experience the oppressive narrowness of the migrant rubber boats. Only in german.